One day, while I was gone my Husband, brought home this little machine, at first I wasn't sure about it. After I used it and then tried going back to the mop I used to before I realized the genius of this Shark Sonic Duo. 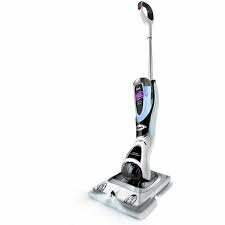 It does all of the scrubbing motions for you so when you don't get all sweaty from mopping your floors. If you follow me on @cleanmondaymeals you will see videos of me using all of the time. I love this thing and is a must have in my humble opinion.